I Mahesh Chander Kaushik is a NISM Certified SEBI Registered Research Analyst My Reg no. 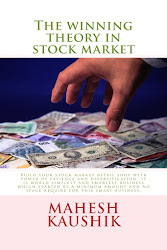 INH 100000908 This Blog Publish Research Reports about Multibagger Penny Stocks for Positional Delivery Buying. ( Not Useful for F&O and Intra-day Margin Trade) This Blog Not Give Investment Advice Read Disclaimer Before Follow any of My Stock Idea. 1. Ruchi Infrastructure Ltd is an 1 rupee face value diversified business company stock. A. Storage Tank:-The Ruchi Infra has a widespread network of storage terminals at 7 major ports in India and five railway siding Terminals. It was the first to construct storage tanks for edible oils in the state of Kerala at Kochi in the year 1996 and since then have constructed around 2 lakhs tons of storage capacity at major ports (Jamnagar, Haldia, Mangalore, Chennai, Kochi, Kandla & Karwar) and 13 tanks having 27,299 KL storage capacity at the railway siding terminals (Kanpur, Doraha, Jaipur, Hyderabad & Cuttack). B.Jetty:-Ruchi Infra has set up its own Jetty at Rosy pier in Jamnagar, Gujarat for handling liquid cargo as well as dry cargo with full-fledged testing laboratory and material handling system. C.Warehouses:- Ruchi Infra providing state of art international standard warehouses with average capacity of more than 12000 MT at each location. Electronic weighbridge at each location having capacity 50 MT. D.REAL ESTATE:- Also engaged in apartment buildings. But if we see year high 14.89 date 15.09.14 then we easily understand that if ruchi soya is not fall more from here then this ratio may be stable below 2 within 1 month ( because on 24 sept 2014 this stock traded on 13.48 so after 24 Sept 2015 Year high for ruchi soya is considered as 13.48 then ratio of 13.48/6.89 is equal to 1.95) so this is the reason that I ignore this year high/low ratio in this stock. 5.Stock have recent bulk deals at price of 8.50 ( my regular readers knew that I ignore a stock which have recent bulk deals) but after these bulk deals promoters holding is increase so I think reason of these bulk deals is " Promoters Buying" So why not we buy this stock @7.21 which promoters buy them @8.50 from open market? 6. Promoters holding in Ruchi Infra is 58.16% they increase it from 54.46% ( I like increasing promoters holding) See this list of companies where promoters increase their holdings:- ( 25 Companies where promoters increase stake) but on of promoter name Umesh Shahra pledged his 100 percent holding which is 4.02% of total promoters holding so in line of 58.16% total promoters holding 4.02% pledged stocks are normal and ignorable. 8. Base price of Ruchi infra is 15.93 so we are buy @ 50 % discount of base price, new readers please refer my book for base price "Buy Now"
9. Book value of Ruchi Infra is 8.50 So our buying price is below then book value, Read more details here " Book Value of Indian Stocks"
10. If you not download my app from google play then download it from here " Sharegenius App"
11.Discloser:- I Mahesh Chander Kaushik author of this research report is an existing research analyst and passed NISM certification for research analysts. I am also registered under SEBI(RESEARCH ANALYSTS) REGULATIONS, 2014 ( SEBI Registration Number INH 100000908 ) hereby disclose about my financial interest in the subject company and the nature of such financial interest:- 1 Me and my associates or relatives have not hold any share of ruchi infra so my personal interest is included in this stock. 2. Me and my associates or relatives have not any actual/beneficial ownership of one percent or more securities of the subject company (ruchi infra ). 3. Me and my associates or relativeshave not any other material conflict of interest at the time of publication of the research report. 4. Me and my associates or relatives have not not received any type of compensation from the subject company(ruchi infra ) in the past twelve months. 5. I am not served as an officer, director or employee of the subject company(ruchi infra ). 6. I have been not engaged in market making activity for the subject company(ruchi infra ). Ethereal theme. Theme images by Petrovich9. Powered by Blogger.